You can find medicine balls in literally every gym in America. They are all round. Some have handles to hold on to. They come in different sizes and weights, and they also have different firmness. There are soft ones that don’t bounce very well. Many are a hard rubber material that are great for explosive exercises because you can slam them on the ground with no harm to the ball or the floor. 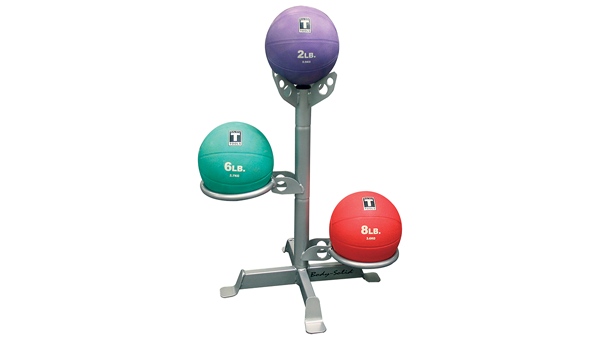 The medicine ball is a popular tool for rehabilitation purposes and core strengthening. It can be used in balance exercises, abdominal exercises, and athletes sometimes utilize them for explosive tossing into the air. This is a great tool to have in a home gym because it is so versatile. It is relatively small and easy to store. It is a cheap piece of equipment that can be found in almost any sporting goods store. Larger balls, and higher weights might be a little more difficult to find.